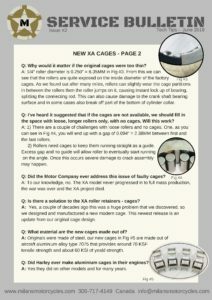 Service Bulletin - June - Milan's Motorcycles newly designed "cages"
Here is the June issue of our shop Service Bulletin. The NEW cages are here!!! 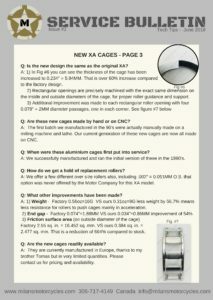 After a year of redesigning, modifications and improvements, we are proud to release, in Fig #1, the brand new roller cages for the 1942 Harley XA. This bulletin contains some detailed technical information while comparing the original design to the new high tech version. We will also be discussing some of the common challenges that led to product failure with original XA bottom ends. 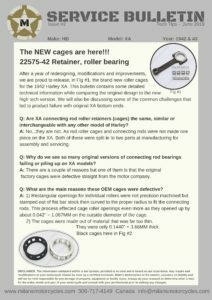 If you are looking to purchase new cages, check out the bulletin, it is a wealth of helpful information. These new parts are available in very limited quantities for $199 US per pair/per rod. 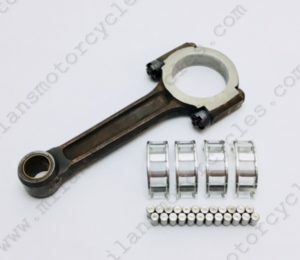 Q: Are XA connecting rod roller retainers (cages) the same, similar or interchangeable with any other model of Harley? A: No…they are not. As rod roller cages and connecting rods were not made one piece on the XA. Both of these were split in to two parts at manufacturing for assembly and servicing. Use the link above for better viewing on PC.